Traveling is fantastic, but things can go wrong. We know because we have experienced so many challenges of late. 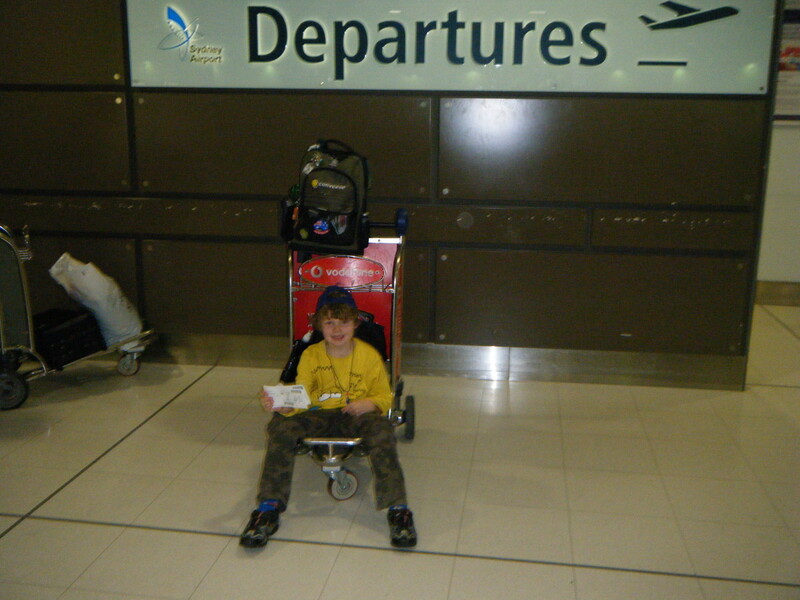 So we are going to share our top ten travel troubles, and help you to triumph through them. This is our third year of travel and our 47th country. That means, we have experienced a LOT of problems and travel troubles at this time. From the theft of our money through credit card fraud to health issues. So here is the list of our Top Ten Travel Troubles. A. Technology Problem: There are authorized Apple Mac or Computer Technicians in small towns, and rarely in developing countries. We had an issue with our laptop computer when we were on a road trip around Greece. We packed up and left our accommodation, and headed for the next big town to find a repairer. We found a computer repairman, and he thought our battery had died. When we arrived in a city we found a repairer who said he could fix this. This repair guy was nothing short of a criminal. Not only did he take screws out and not replace them, he swapped my good keyboard for one that 3 letters do not work on. He took out / put back the motherboard, thus voiding the Apple Mac warranty. He took out the hard drive and replaced it with a faulty one. The SD card reader did not work, and a few months later the whole hard drive crashed, as it was an old piece of rubbish. We collected the computer on a Saturday night and failed to realize he had it plugged into the mains electricity, and the battery did not function when unplugged. We had no idea about the other problems. Neither had he even copied all my data over. He WILL be getting a visit when we get back to Greece, as he refuses to answer emails. By this time we were in Romania, and we drove 6 hours to the next city. We went to three repair places and finally found an authorized Apple Mac repairer. By now the computer was so damaged it was not fixable. So we managed to recover most of the information in my external drive and bought a new laptop. But within the week the Tb drive crashed, and we hadn’t copied all the photos back. It was a nightmare. Solution: Paperwork – Firstly get paperwork if you leave any technology anywhere, stating exactly what you are leaving, and take a photograph. Authorised Repairer – Try to hold off until you get to a capital city or large city where there is an authorized dealer. 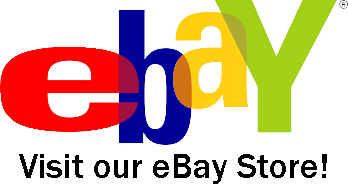 Better a week or even a month without it, until it is fixedly an authorized service person. Back up at least 2 X. Use iCloud, or DropBox and an external TB drive. In fact, we now use two Tb drives. We try to do a weekly backup too. Make sure websites have proper backups, as we also had an issue with finding out our website had never been fully backed up by the host, and the file was too large. It meant our website was down for a week, while we moved it over to a new host recently – another nightmare. Store backups separately from the computer. If your computer backpack/bag is stolen, you want that backup to be stored elsewhere, so try to split them up in your luggage. We send a thumb drive back to the family to keep an extra copy of the past year too. B. Camera Troubles / Problems: Camera’s can be stolen, or broken. So far we are on our fourth camera. One smashed when I fell and slipped on rocks in a waterfall, and smashed on the rocks. Two others were waterproof but let in water. Solution: Have a good protective pouch or bag. 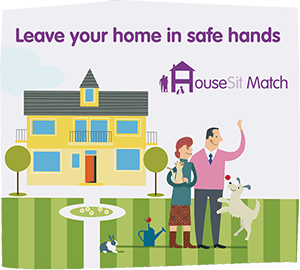 Use the safety wrist or neck strap – all the time – no exceptions. 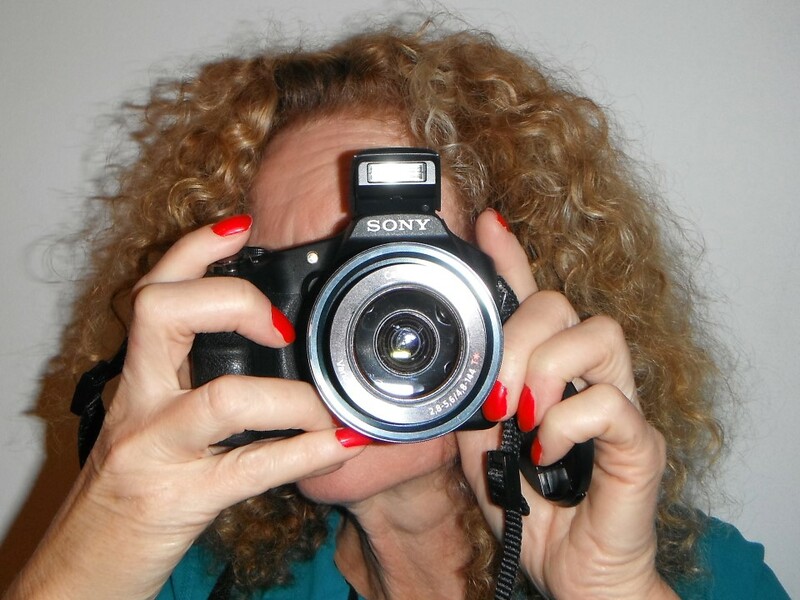 Avoid theft by keeping the camera in front of you at all times. Never under a stroller or seat, or in a backpack. Problem: From maniac bus drivers in Bolivia to crazy cab drivers in Romania where a cab driver literally tried to run into us, (we swerved and he hit another car) to having car troubles, here are a few of ours. With purchasing a vehicle in the UK and driving through Europe for the last few months, we have had our share of border crossings. At one place they put a camera under the car, and another they detailed us for one hour for paperwork we never even needed. We have had flat tires from bad roads in Romania, and roads I thought would break the suspension of the car in Albania. But the worst so far has been a mechanic that cheated us and didn’t do the job he was meant to. We paid for a mechanic to give the car a full service. I think he changed the oil (if that) and put anti-freeze in the radiator and that was about it. Two days later we discovered the rear brakes were metal on metal (mechanics answer was it was dust that made the squeak). Two weeks later the front brakes needed machining. But it turns out that one of them had a damaged brake cable, and neither of the two mechanics picked up on that. In a nutshell – we were ripped off and could have found ourselves in a dangerous place. Solution: Try to use a mechanic recommended by the hotel owner, or someone you know. 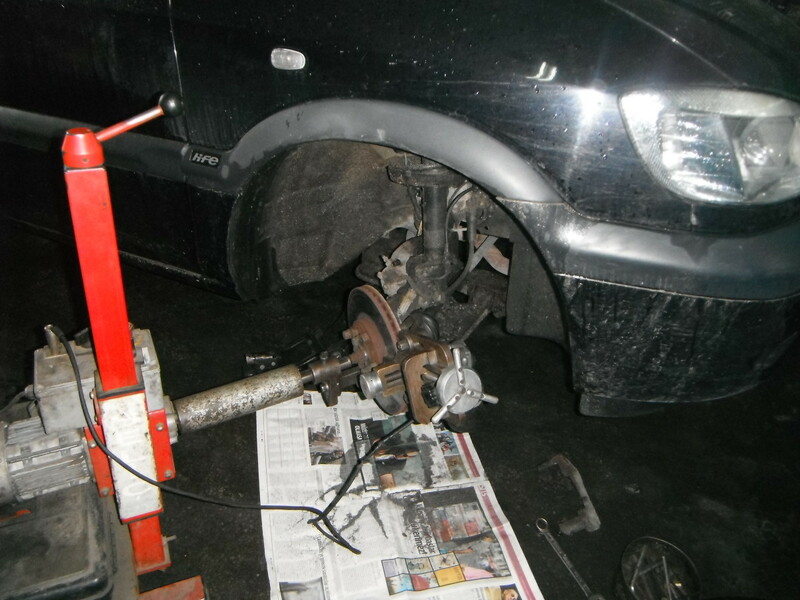 In the end, we found a good (but not cheap) mechanic in Hungary through the owners of the house-sit we were at. He fixed all the car problems. It turns out the timing belt had never been changed, and he checked all the safety items we needed. It is hard when there is a language barrier. Use ‘Google Translate’. I typed a list and ‘Google Translated’ it with the English under each point, so we both knew where we were at. I also asked to see all the changed out parts. Problem: Traveling can make you feel alone. You can watch couples hand in hand on the beach. Families celebrating a birthday, or lovers sharing a romantic dinner. Recently I watched groups sitting in the hot pools all having fun, and talking about nothing – just mucking around. And a deep sense of loneliness filled me. It is times like this I miss my friends, and long to share a birthday celebration or Christmas with my family like ‘the good ol’ days’. I’ve missed 21st Birthdays, Graduations, Weddings and the birth of a friend’s baby with travel. These times make us feel lonely. I may travel with my son, and this is an incredible gift to me. But there are times I long for adult interaction, and he longs for kid interaction. And another adult to help make decisions. In saying this, we all feel alone at times even when we live back in Adelaide if we are not traveling. Solution: Recognise this feeling will pass. If it is a really deep pang watching an event, move to a different place. Take it easy on yourself. Think this is just one day, especially if it is Christmas. Be in the NOW and try to live for that moment with joy. This is the place you are celebrating your event, and make it the best memory you can. Plan ahead, so you can be with people if possible on a special occasion. We shared Christmas this year with other traveling families, and that helped. And the lead up to the Festive Season we planned ahead. 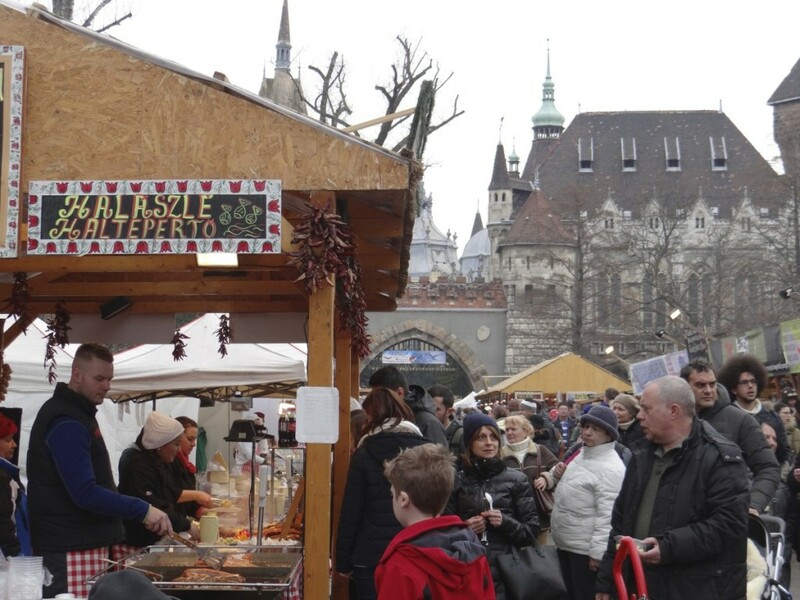 We made Christmas decorations 6 weeks before, and we traveled to where there were snow and beautiful Christmas markets, to ensure it was a good memory. For my birthday we made sure the hotel knew it was a special occasion, and they organized some treats which made me feel good. After all, a nine-year-old is not so good at planning these things. And for my son’s birthday, we planned well ahead. He was born on St. Patrick’s Day, so we headed to Dublin for that memorable birthday. Communicate. Skype, Messaging, email, and Viber. Explorason usually chats daily to one of his friends on Skype or Messenger. I find I might be busy blogging or planning, and he is busy laughing away with his friends. It is a great cure if we are not around children. Be with others. Don’t be alone. Try to stay where you will meet people. Hostels are great for this as there are a lot of solo travelers. I find the greater the star count of a hotel, the more exclusive it will be, and often the less likely to meet people. Tours can be a great way to meet others too. Go out to a festival like we did in Fiji when I felt alone. We met a great family with two boys and connected with them three times in South America. My son still Skype’s them, and I still email the mother. We make sure we start conversations at playgrounds (this one started with my son sharing a plastic Coke bottle) and go out to where my son gets good child interaction. We are also part of Facebook groups where world-schoolers and travelers meet up. We have met over 30 families this way. Just remember. At the end of the day, we are all alone inside. You can be alone in a relationship. What you seek is a connection. So reach out and connect. And also don’t give up. Lonely days pass. Problem: How do you know if a barber or hairdresser is a good one? How do you know they are clean? 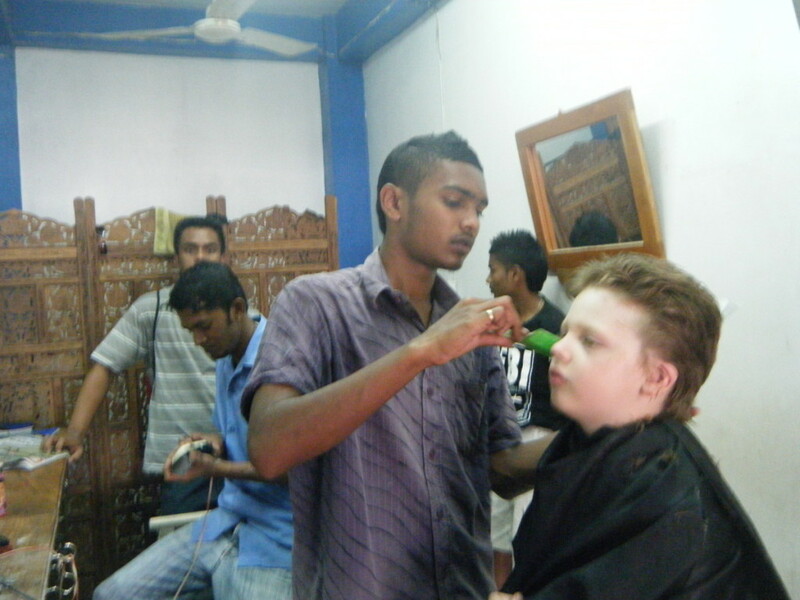 Explorason received a haircut in Fiji and the barber didn’t even clean the comb between haircuts. I saw him go to use the same comb and insisted he go and clean it. This was in between bouts of head lice there too. I have carried a photo with me of how he should have his hair cut, but the last hairdresser took the photo and decided in Eastern Europe to do his own thing. I was busy on the iPhone trying to sort out the computer issues and failed to see the clippers start until it was too late. We never did get a photo of the uneven and horrendous cut. Next day we went back and tried to get another hairdresser to fix it, but it was too late. The curls were gone, and a somewhat undercut will remain. The good thing is, he won’t need a haircut for six months. For me, I encountered nothing short of a hairdressing tragedy. Blue hair in Greece, that then fell out or snapped off !!!! This seemingly mad Georgian hairdresser in the heart of Greece refused to listen to me. I was mean to get highlights, but she left them on too long and worked too slowly, and then when she took the foils off, my hair was blue! I ended up screaming at her to listen to me, as she was getting angry with ME First! Bits of hair was falling all over the floor. We madly raced around Athens trying to find a deep conditioner, but months later my hair continues to thin and snap. I have spent hundreds on deep conditioning, but the damage is done. Gone is my even thick curly locks. Now I have short and long thinning brittle hair. Solution: Insist on equipment is cleaned and disinfected. If a hairdresser does a botch job, try to stop them, even if it means screaming. 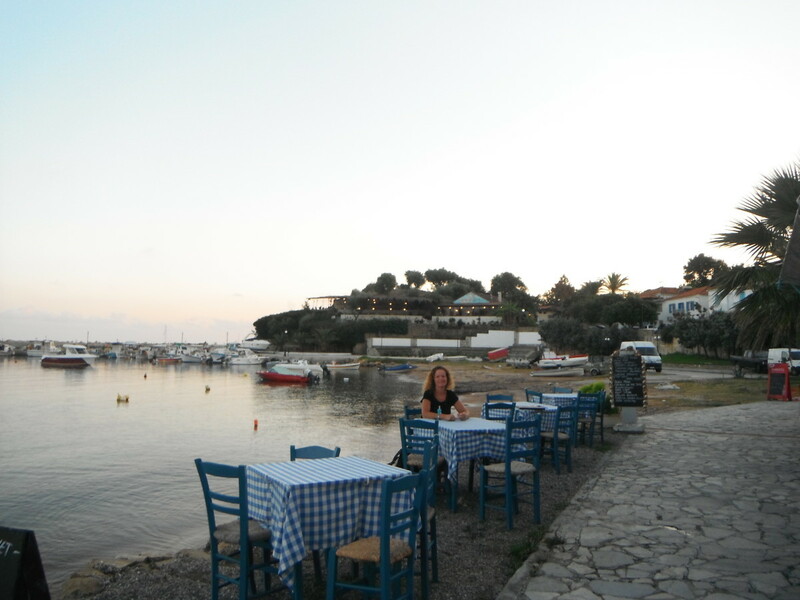 Had I not screamed (and Explorason cried) in Greece, I think my hair would have all snapped off on the day. I paid her for it though. Next time I go back to Greece, she also is getting a visit. I will be polite, but she needs to know the damage she did. We had our BRAND NEW soft luggage broken the first time we used it (so we still had receipts) on a ferry from Ireland to Wales. For some unknown reason, I took a photo of it being loaded on the conveyor belt. When we arrived in Wales, it was literally DROPPED from a height. Of course, the wheels snapped, and it was useless. I did the same taking photos before going on a cruise, and two of the bags were misplaced. 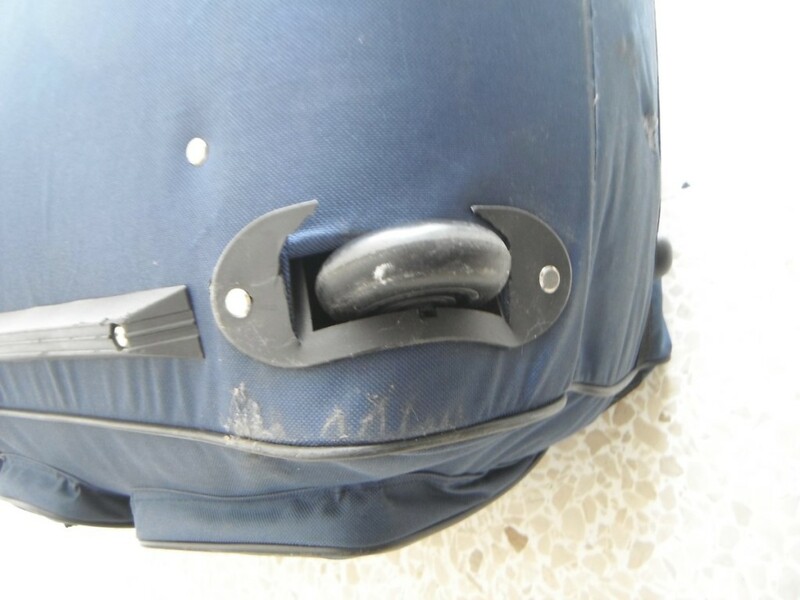 Solution: Always take regular photos of your luggage in case you need to make a claim for damages, or it gets lost. 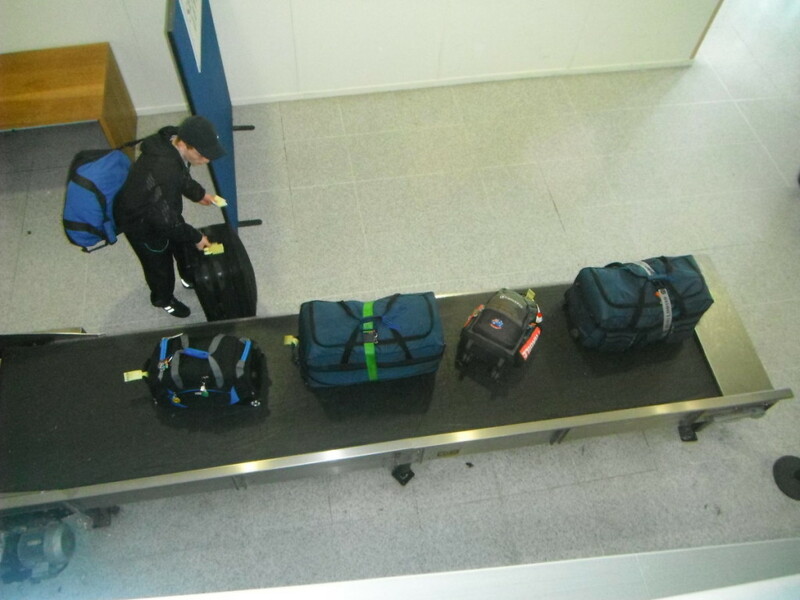 In both cases, we completed forms and the photographic evidence helped find the two lost bags. And we were able to claim for replacement luggage for the broken bag too. The ferry company even paid for us for a taxi, as we were to walk the two blocks wheeling the bags to the hotel, and were then unable to do so. I ended up finding some great new luggage on special in England, and for the same price ended up with a better bag. 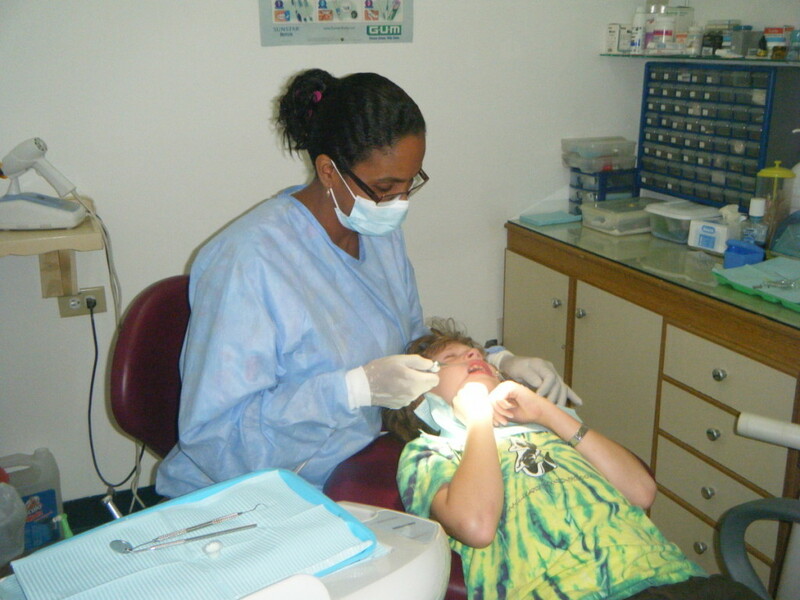 Problem: Regular dental check-ups in developing countries can be difficult, especially when there is a language barrier. However, we always go for a six-monthly check-up regardless. This dentist in Panama was fantastic, but we also had one in South America who spoke no English. We would turn up for appointments and he had canceled for a funeral or other problem, but because we spoke very little Spanish, we were never contacted. He then started to grind a rough spot off my front tooth, and fill gaps at the front I never asked. He also over-charged us because we were tourists. In Bolivia, they love to fill the front teeth with gold, and I was petrified! Solution: Get a quote first. Find out the charges BEFORE you head in and sit down. Translate: Use Google translate to print out or have a screenshot of what you feel the problems are, or the work you want them to do. Sign language: Put your hand up and STOP them if they start to do something you don’t want. A. 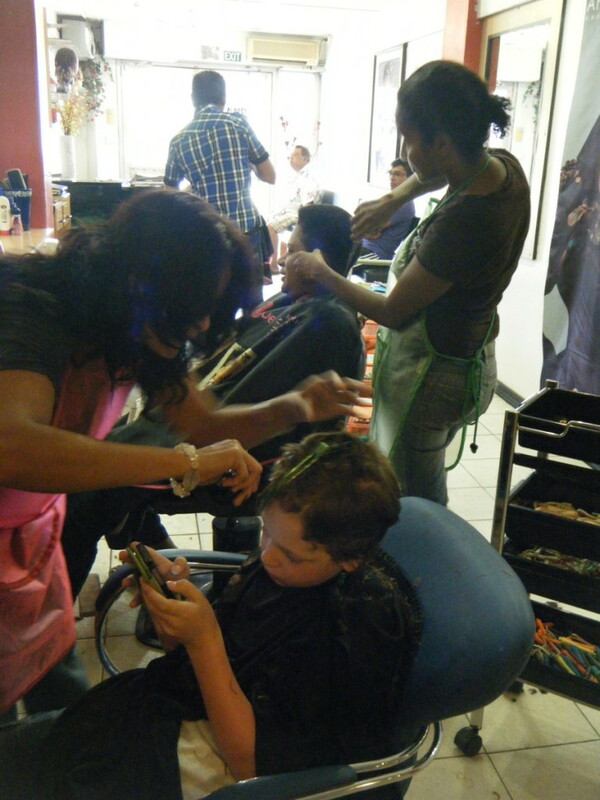 Problem – Head lice: We have managed to encounter these at the start of our trip over two years ago. And it hasn’t been in places you would expect. Also head lice like clean hair, and warm conditions … and kids! Explorason managed to get head lice in Fiji the first or second week out of Australia. He caught them off another child at a resort. And a lovely resort at that. Within a week, these head lice had laid eggs, and the nits hatched. I had never dealt with a mass case like this. In a resort, there is no washing machine. So I ran very hot water in the jacuzzi tub in our room, and put the jets on with some shampoo, to wash all our clothes. We headed to town and bought the treatment. At least the bottles were in English, so after about five Pharmacies we found 2 bottles of product, and headed to a hairdresser for treatment. Within the next few weeks and with attending school in Fiji, he managed to get them 5 times. I was beside myself in the end, and on the very last week, I encountered a visit too. Solution: Always carry a good head-lice shampoo – especially in the tropics. If you managed to get them and can’t get the shampoo, then go and lay your head in the sea for half an hour. The salt water will kill off the live ones. Also, use a conditioner and a comb. the conditioner stuns them and you can at least comb out the live ones. B. Problem – Bedbugs: An old problem encountered a long time ago, but worth mentioning. We have managed to encounter these critters four times, but last time we left because we checked the bed. Again, and it hasn’t been in places you would expect, and it hasn’t been in a long time. 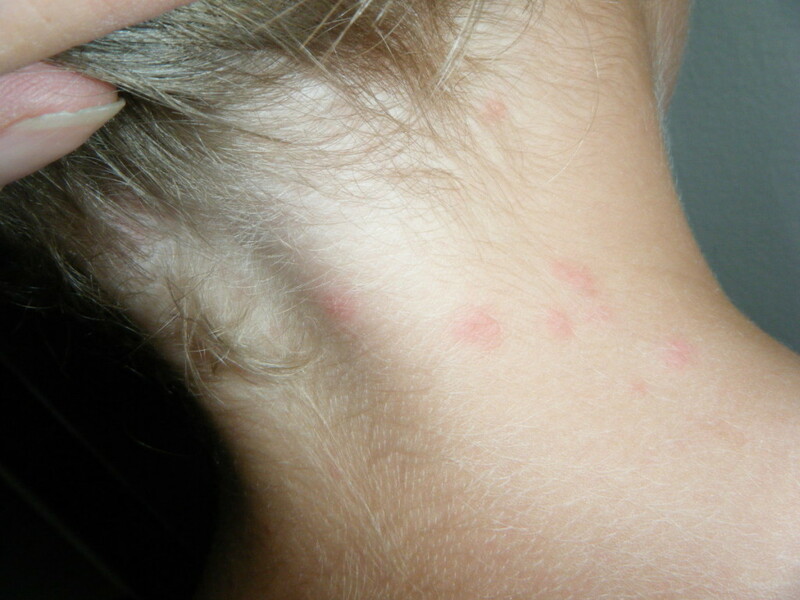 The first time we encountered bedbugs was at a four-star resort in the USA. At the time I had no idea why both of us were insane with itching. It took a while to work out what they were. We spoke to management (contacted them after we had left) who came promptly and checked the room. They were extremely professional. The next time was in a three-star hotel in Panama. This time I saw the bites on my son’s torso first, and then his neck. I stripped the bed and found bedbugs. So I placed one on paper and took it to reception. They offered us another room, but in my opinion, if they are in one room, chance are they are probably spread with the linen to other rooms. Fortunately, it has been over a year since we encountered any, and not once have we carried them on our journey with us. Sadly bedbugs can be transferred in transportation seating especially if it is cloth, a trunk or boot of a taxi, and also with bags stored together on planes etc. Solution: If you are still at the hotel, go and see the management. Change hotels, and demand a full refund. Wash all your clothes in very hot water with detergent, or freeze them. Check all your bags, around the zippers, and inside thoroughly as they like to hide. In one case we bought complete new luggage. For sand flies, and mosquitoes, make sure you have a good quality roll on or spray insect repellant. Spray under beds and close the doors half an hour before bedtime in the hotter places. Do not use DEET on small children. Do not wear perfume or scented body lotions. Wear long sleeves and long pants and closed in shoes when there are sand flies I have a friend scared like she had the pox from all the bites she encountered in Central America. Buy a $2 mesh pull over for a hat for jungle and safari times. They fold to next to nothing. Use a mosquito net if they provide one. Avoid: We now have a system where Explorason will go into a room and check if bedbugs are present. Pull back the corner (head end) of the bottom sheet, and check the ridge that runs around the mattress edge. 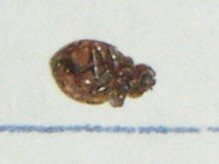 If bedbugs are present, they will most likely be hiding there as it is dark, or settled in the quilting. They are sometimes found swept in the corner of rooms too. Use good quality packing cubes. Use the raised luggage racks hotel rooms provide to keep your bags off the floor. Also never put your bags on the bed when you arrive. Firstly the luggage is dirty, and also if there are bedbugs, the safest place is the bathroom floor. Remember bedbugs are not choosy. You may be three, four or five-star standard, and you can still get bedbugs. From your luggage on a plane, a seat, the trunk/boot of a taxi, or even the suite of a room. But in saying that, I think you will find most quality hotels pride themselves in the standards of cleanliness and it is rare. Problem: Losing a child, or something happening to the parent so the child is alone. So far on our three-year journey, I have not yet lost my son. Neither has anything happened to me of drastic consequence that he has been separated from me. For example, if I was hit by a car, or had a heart attack. The closest we got, was that I had parked the car at a hotel one side when we traveled with a friend. She was in the room with my son, and I moved the car around the other side of the hotel to the shade. We went to leave and he walked out to the front of the hotel and thought I was gone. I thought he was on the toilet in the room and went back and he was gone. I raced out and found him staring out to the street thinking I’d driven off without him. Solution: We have put a lot of things in place to prevent this from happening, and practice often what to do if it does happen. Emergency details and contact numbers: We both wear an ID bracket with all this information. If he was separated, he just needs to take off the bracelet and he can have authorities call one of three telephone numbers. We also have the mobile cell phone, and he would connect to wifi and make contact with relatives. We discuss this and who to call regularly. When he has his wallet, it also has a photo of me in it. And likewise, the phone has photos on so I could show someone what he looks like if he is lost. Where to meet: We set up places to meet on arrival at an event or town if we were separated in a crowd. We have two whistles which we have worn once, and never used we could both wear if it is a really packed place. Never allow your child to play hiding games in public. Never allow your child to go into a public toilet alone. Use the disabled or if you must put a hat on them and march them into the ladies and quickly let them sit in the cubicle next to you. Many a child has gone missing at public toilets. don’t leave your child in one section of the store playing a game etc whilst you go off to another section. We hold hands, but crowds separated us on St. Patrick’s Day after the parade. It was like parting in a sea, but I managed to shove someone out of the way to get to him (sorry to that person!). Public transport separation: If someone gets off the public transport and we are separated, the person on the first bus/train gets off at the next stop and waits. The person who got off then gets on the SAME NUMBER bus/train that comes along next and goes to the next stop. Carry hotel cards and tell the concierge: Every time we go to a hotel we each take 1 – 2 cards from the hotel and they go in different pockets. We talk to the concierge and arrange if one of us should get lost/separated, they are to ring the hotel and tell the hotel reception where they are. The reception/concierge then waits for the other person to call in and co-ordinates the reunion. Problem: What to do if someone gets sick and ends up in the hospital? 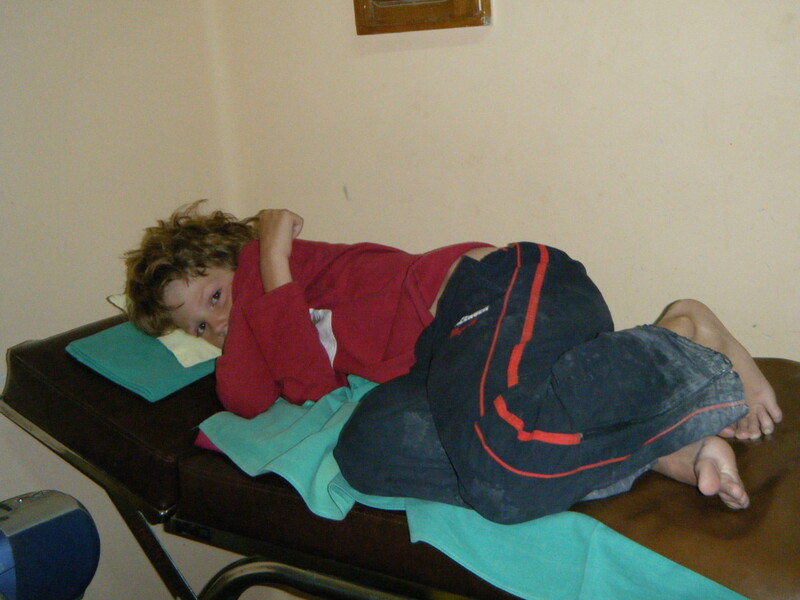 This photo below is of the emergency room in Bolivia. 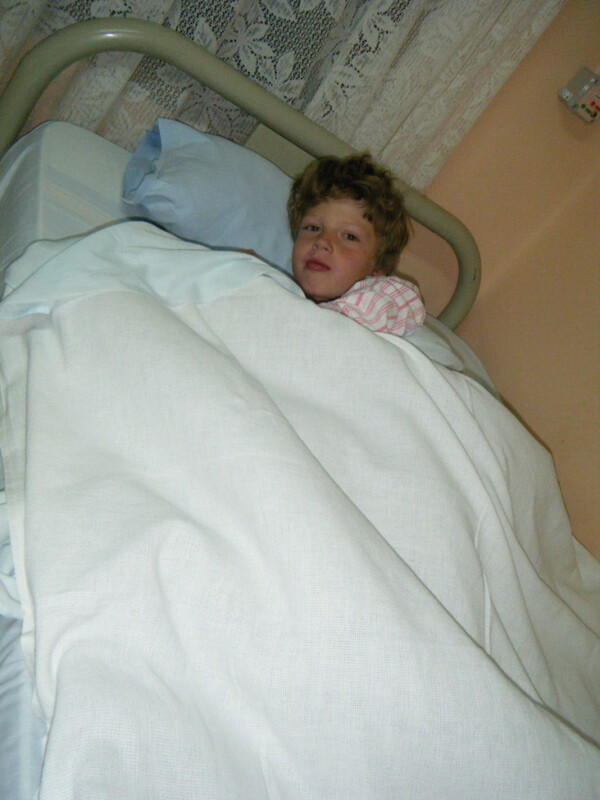 The photo above shows a somewhat scruffy looking sick child, who had been vomiting for 16 hours and had salt poisoning. He had licked the salt on the salt flats, and that is the white all over the bottom of his trousers. We had to drive across over 100 km of salt plains for hours to get him there. Solution: Find an interpreter and have someone help you. It is important you know what is happening if you or your child become so ill they need treatment. We used an interpreter from the tour company in this instance. I stayed in the hospital at all times. never leave your child in a foreign hospital. 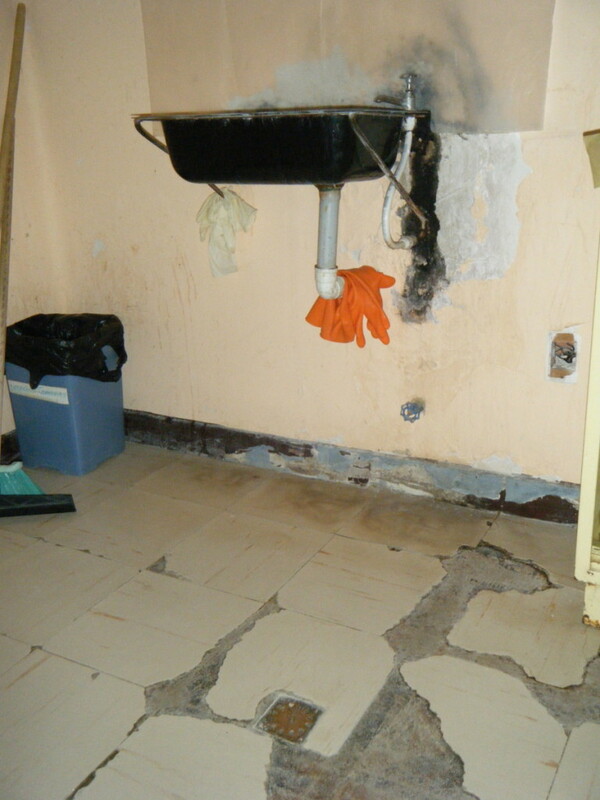 The conditions were very poor, and I thoroughly checked the hygiene levels, but I must say the medical care we received for the 2 days in the hospital was good. I paid the tour company to bring me food so I could eat, and toilet paper and drinking water. None of this was supplied at the hospital. There was no wifi to let the family in Australia know. There was, however, a very sick child in the next bed I feared contagious, so I checked my son out and headed by bus for the next town as soon as he stopped vomiting and stabilized. The account for 2 days including medication, hospital stay, and medical care was $11. And the number one problem is Money. You can’t travel without it. Problem: You can’t access money. You have run out of cash, and you can’t get more. 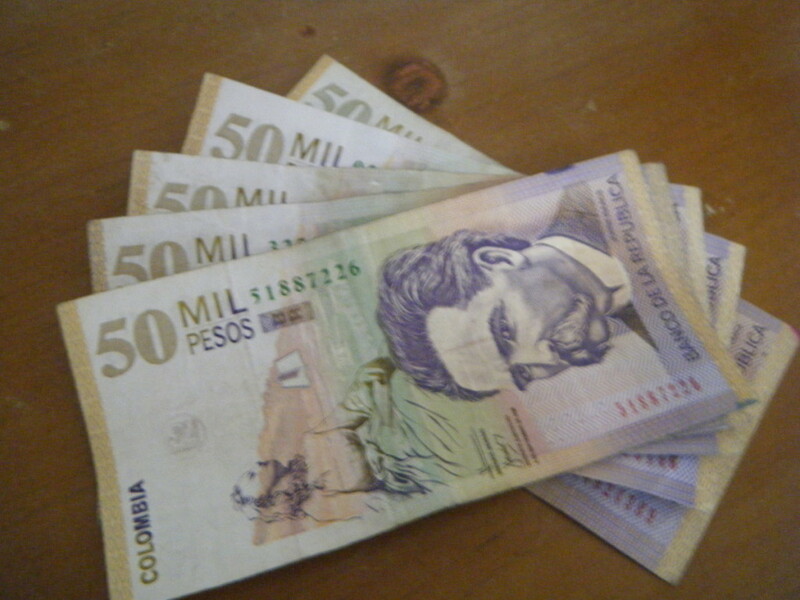 There might be all sorts of reasons why you are low on funds, but it is a real problem when you can’t access money, as we found out in Colombia when our credit/ debit/travel money card was skimmed. We found ourselves in a walled town in Colombia, finding our Travel Money Card wouldn’t work. I tried both cards I had, but neither would work. I tried five ATM’s and felt sick. I went to the police station and the police officer escorted us to the local internet shop where we were able to call the Bank. I must say it was the most frustrating call, as the bank REFUSED to tell me how much had been spent on my card, or the transactions. they asked me what my transactions had been, and when I told them, they were not complete. They wanted me to print out and fax a form off. there was no fax in the whole town. they would not accept a scanned copy. I ended up crying and a lady stopped to help me as she was passing. Spoke Spanish and English well enough to help. She was heading back to Bogota, Colombia and waited whilst we copied the forms and she promised me she would fax them. I gave her my email and she emailed me several days later to say it had been done. In my case, they cloned the card. We think this occurred in New York and they then made a copy card with the new magnetic strip. Criminals have machines that fit in a purse and can stand next to you on a subway. These thieves have cameras in tops of external ATM’s. I then had to use my credit card to extract funds with interest as a cash advance. It took nearly three months to resolve the issue and recover the funds. Solution: Carry your cards in a metal holder, or wrap in tin foil. Cover your pin when you use it in an ATM. 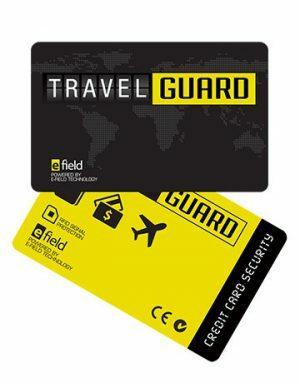 Only keep a limited amount in your travel Money Card. Keep your receipts of cash withdrawals and transactions for a month in case of fraud. Mine proved it wasn’t me making the transactions. Have the email address of a bank staff member who can assist you in emergencies, and notify them of upcoming countries. Only use internal ATM machines – never on the street. This way they can’t be tampered with, or a camera added above you. I’d like to wish you a fantastic journey, wherever you are going to travel to. I can’t say you will never encounter any Travel Troubles, but I hope I have been able to share a few solutions, tips and way to prevent them happening, or how to find your way and triumph through them. Are you a family that travels Long term? Next Post:Travel The World To Places Just Like Me ! 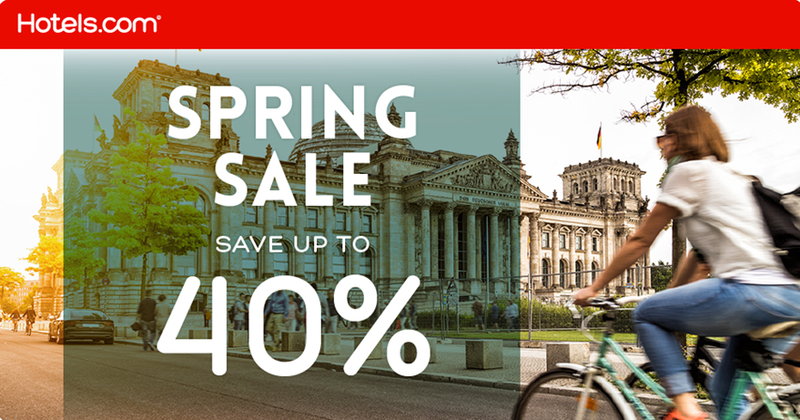 Thanks so much – appreciate you stopping by! No I didn’t either James – you live and learn. Thanks for stopping by my blog! This is a fantastic piece. Thank you so very much for sharing your experiences, as well as solutions. You touched on things I have worried about while traveling.